Let's be kind and say The WarZ had a rough launch. A very rough launch. And that's being very kind. Things got so bad for the zombie survival game that it had to be removed from Steam, essentially because the game that was being promised was not the game people were actually paying for. 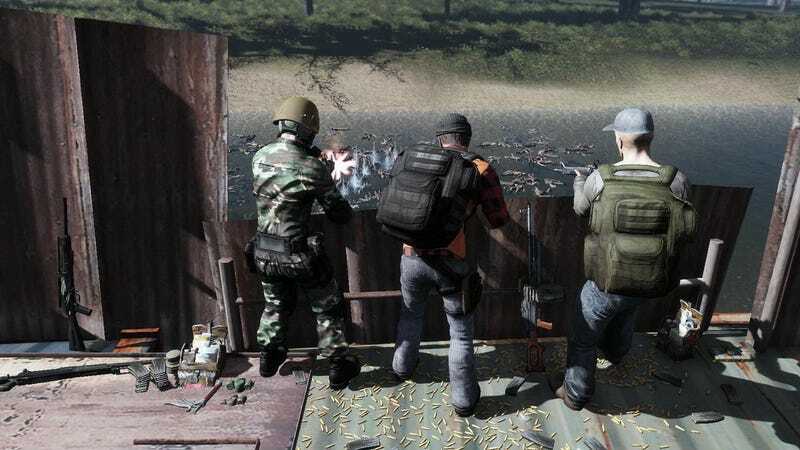 Controversial zombie survival game The War Z has been removed from Steam. Well, after a couple of months in the wilderness licking its wounds and hoping none of them were bite marks, the game is back on Steam, patched and ready for sale. Unless it's been patched with an entirely new game I still wouldn't recommend it, but if you feel the need to try it for yourself on the PC gaming platform of choice, now you can.